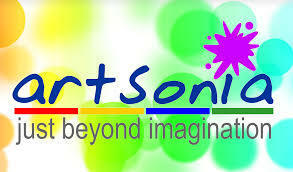 This year art OMS art students started using Artsonia, the world’s largest student art museum, where they have started to build digital art portfolios. It is so much more than an art museum! It's a free, safe, educational program designed to connect parents and families with their child's creative activities at school. Students take photos of their artwork, upload it to their personal account, write an artist statement, and receive feedback from Mrs. Ratliff all in the same place (and they will get to use those awesome new Chromebooks!) One great thing about Artsonia is that students are able to keep a digital copy of their artwork for years to come and build their art portfolio throughout their school career. Students use Artsonia to showcase their artwork during Student Led Conferences as well. Parents and guardians- Artsonia is an amazing way to connect with your artist! You will be able to view your child’s artwork from school as well as upload artwork from home with your smartphone! Start a fan club! Invite other family and friends to join your child’s “Fan Club” where leave positive comments on your artist’s work and receive notifications when new artwork is posted. One of the coolest parts of it all is you may purchase custom keepsakes with your child’s artwork on it! These range from mugs to phone cases and Olympia will receive 20% of the purchase total. What a great gift idea for those upcoming holidays! If you haven't already done so, go to our Olympia Middle School Artsonia page! Check out the amazing artwork our students are creating!